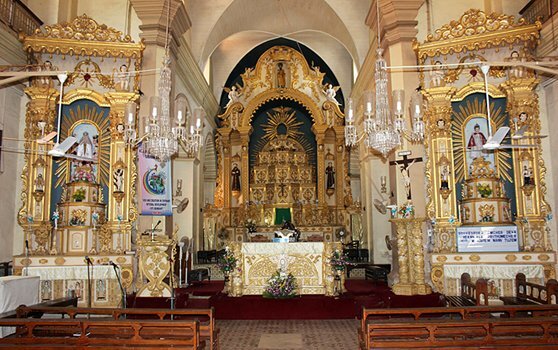 Margao, the capital city of South Goa, is a small town that is rich in culture and arts. It is little wonder then that the International Film Festival of India is held here at a cultural center named Ravindra Bhawan every year. Margao may not be as popular and cosmopolitan as Panaji, but it does get its fair share of travelers. There are many beautiful churches and temples interspersed around the town that are frequented by the locals as well as the tourists. Apart from that, many people throng the covered market place for shopping purposes. The main attractions of the town are the Municipal Town Hall and the gardens right opposite to that. Usually, people treat Margao as a transit point rather than a tourist destination as it is a railway junction right at the intersection of Konkan and South Western railway. In fact, Margao railway station is the busiest railway station in Goa. If you happen to travel to this small town, do try the local Margao curry. It is so famous that cans of Margao curry are exported to Portugal and many other countries. And of course, there is the refreshing coconut water to quench your thirst on a sunny day! The best season to visit Margao is winters as the temperature is pretty mild then. Summers can be hot and humid and the town sees a lot of rainfall in the monsoon months (June-September). General weather of this destination is Sunny. This destination is of type Sea.